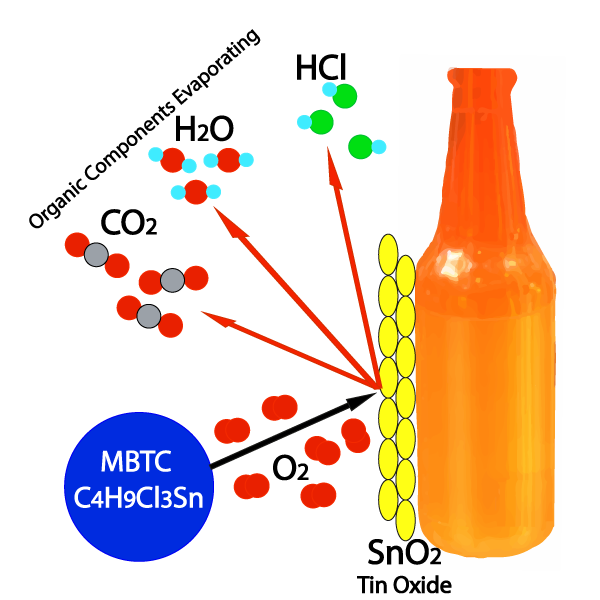 Pure MonoButylTin TriChloride (MBTC3) at 99,0% to be sprayed on the bottle just after the forming phase at 550°-450°C. The high temperature makes all the organic components to evaporate, laying an homogeneous coat of Tin Oxide capable of closing the micro cracks of the glass bottle caused by the rough surface of the mould. 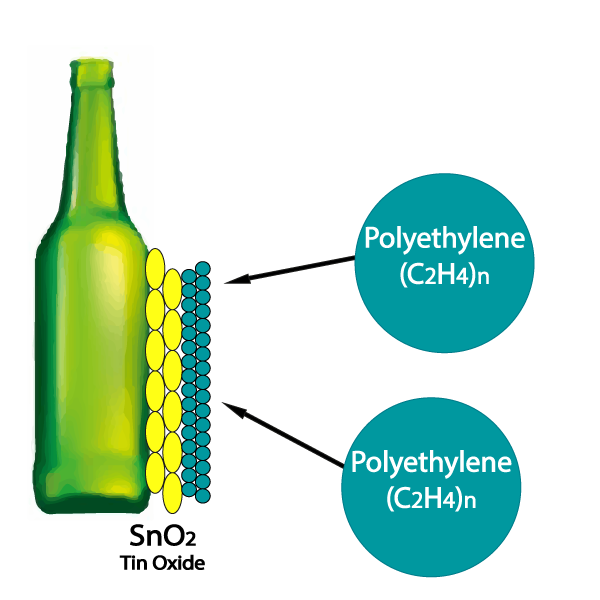 Polyethylene Wax with a 20-25% solid content to be sprayed just after the annealing lehr when the bottle is around 150°-90° C.
It is applied with appropriate and well oriented guns, and it forms a protective plastic layer anchored on the hot end coating substrate.